After our Insider tips for Vietnam we travel to a country that hasn´t opened its borders for tourists and backpackers for long. We talk about Myanmar. When we visited this beautiful country for the first time we couldn´t get there with “Visa on arrival” and it was a bit effort to organize a trip. Here we give you 10 valuable tips for your first trip to land of the thousand pagodas. Usually most of the tourists fly to Myanmar from Bangkok. Air Asia has a daily connection from Bangkok to Yangon. There is another international airport in Mandalay. Getting to Myanmar by land border isn´t possible without a valid visa. At the moment you can´t get “Visa on arrival” if you want to enter the country by land border. If you prefer to cross the land border you should organize a visa in advance. 2. Where should I start my trip? Most of the tourists and backpackers start their trip in the former capital Yangon. The city is a developing place since the borders are open. You can feel the alterations in the country when you come to Yangon. You have lots of accommodations from cheap to luxury. There are also so many cultural things to see. 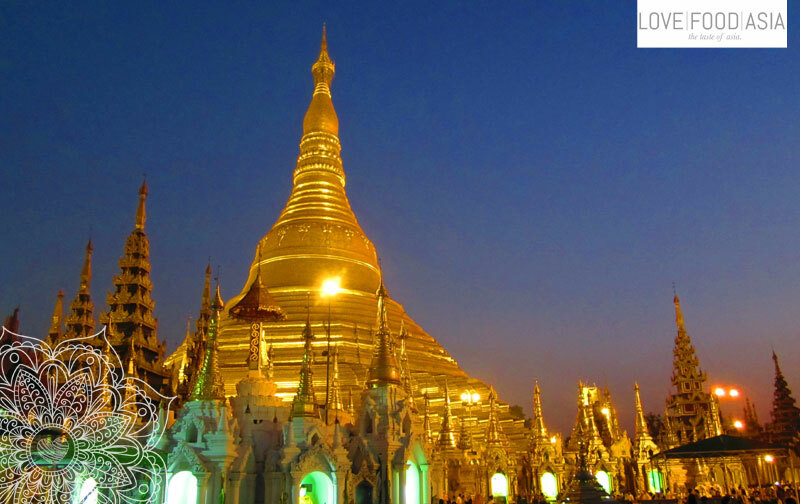 You shouldn´t miss a trip to the Shwedargon Pagoda during sunset when you are in Yangon. 3. Which route should I take? The “classic route” in Myanmar is from Yangon to Mandalay. Make a detour to the Inle Lake and drive to Bagan. From there most of the tourists go back to Yangon. Time is the most important think. This rout is for a two weeks trip. If you have 3 weeks or more you can make the following route. Drive to the Golden Rock in the south. Travel to the sea and spend some days on the beach. Beaches aren´t that crowded jet but Chinese investors are waiting to change Myanmar into a second Thailand. After the beach you can go to Bagan, see the temples. Drive to Mandalay , Inle Lake and back to Yangon. The bills in Myanmar are mostly in poor shape. The bills of the local currency (Kyat) aren´t printed that much in Myanmar. You also will need a lot of bills. One Euro is around 1800 Kyat and 1 Dollar is 1500 Kyat (September 2018). Check your bills and avoid some very old notes. You won´t get rid of them because the local stores don´t take them. Very important is the way you pay in Myanmar. Never use your left hand. Take your right arm and place the left arm on your right underarm when you pay. If you´ve asked yourself this question and if you have some trouble in answering it we can take you the last insecurity. You should definitely use a backpack. Myanmar is perfectly made for backpackers. Don´t take too much. Choose a mid sized backpack and you stay more flexible. One example: You can pack a smaller backpack in a bus or train compartment easily. 6. Getting around: Bus or train? It is comfortable to travel by bus in Myanmar and that’s what most of the tourists and backpackers are doing. But we prefer (like “The man in seat 61”) to travel a country by train. We know that all the trains in the country are in a very bad condition. Don´t expect any kind of comfort when you use the train. But there is no better option to get in contact with the locals. The bumpy train ride from Yangon to Mandalay will always be on our minds. Bus drives with many other traveler won´t stay in your mind for so long. Another way to get from A to B in Myanmar is a ship. River cruises became more and more important for tourists. A river cruise can be from Mandalay to Bagan or in the other direction. You will have a great time of slow travelling with tons of great views and experiences. 8. Where to eat authentic food? Definitely not in one of the newer restaurants. We didn´t want to rate the quality of those restaurants but it is a fact that the daily life is placed on the streets. And that´s the place you have to search for good authentic food. Scan the places. They will be small and normally they can´t be found somewhere on the internet. If there is a place filled with locals and without some tourists you´ve found the right place to eat. Don´t be afraid. Take a seat and enjoy authentic Burmese food. Two famous dishes are the Mohinga (fish soup) and Ohn no khao swè (coconut-chicken soup). It seems like the country becomes more and more western but appearances are deceitful. There is still a strong military government and you shouldn´t talk some bad things about it. You never know who is listening. Myanmar is a Buddhist country. If you visit a temple you should do that quietly and with respect. Remove your shoes before you enter a temple and don´t talk to the prayers. Like everywhere in Southeast Asia you shouldn´t point at other people with your feet. But we´ve asked ourselves when we had a situation where we had the feeling to use our feet instead of our hands. The most important thing is how you should react when you get into an argument. It is very important in Asia to keep your face. Don´t say bay things to your counterpart and don´t shout at him or her. Respect is very important in Myanmar. Our secret tip for Myanmar is the long trip to Mrauk U. It is a secluded small city near the west coast. It can be reached via Sittwe by plane but we recommend to go there by land. Take the bus from Mandaly and you will find some lonely temples in and around Mrauk U. There is no comparison to Bagan. You won´t regret a visit. Stay two days and enjoy the non crowded places. If you miss something important in our list feel free two write us a message! We are happy about every kind of feedback!